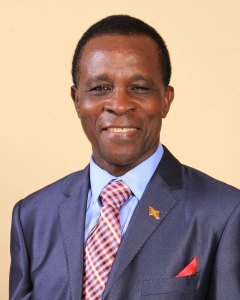 Prime Minister, Dr the Right Honourable Keith Mitchell will assume presidency of the Fourth Assembly of SIDS DOCK this month in what is regarded as clear evidence of Grenada’s leadership in matters of international importance. Noting that future SIDS DOCK projects are expected in the areas of technological innovations in Ocean Thermal Energy Conversion (OTEC), geothermal energy, biogas and coastal infrastructure, Dr Mitchell said the region must capitalise on the opportunity presented. As President of SIDS DOCK, Prime Minister Mitchell will serve a one-year term. The seat of the presidency is rotated among Caribbean, Pacific and Atlantic, Indian Ocean, Mediterranean and South China Sea (AIMS) countries. Prime Minister Mitchell’s acceptance of the SIDS DOCK presidency comes as he prepares to hand over chairmanship of the World Bank’s Small States Forum to Fiji.